The first time I researched my family history, I was at the National Archives in Waltham, Massachusetts. I had no idea what I was doing–my Dewey Decimal skills did not help me here. I was starting with just a street address and my great-grandfather’s name. I went from index to index to find the enumeration district for the census that he would be on in 1920, the earliest census available at the time. I sat down at a microfilm machine and scrolled through pages of handwritten census records to find the page he might be on. It’s hard to remember, but I know I eventually found my great-grandfather and grandmother in 1920 in York, Pennsylvania while sitting at the dark microfilm desk in Waltham. I’m sure I scribbled notes in a notebook. It was probably thrilling to see a census for the first time. Almost twenty years later and the genealogy world has changed a great deal. Back then I spent time in local libraries and the National Archives and I went to cemeteries when I was visiting family. When Ancestry.com came online, I used it sparingly–I wasn’t even certain how to look for what I needed. 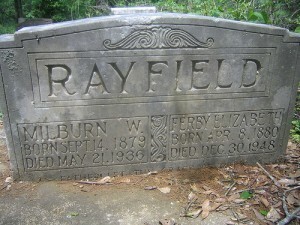 Now I spend a lot of time on Ancestry.com and have found findagrave.com unbelievably useful. The RootsWeb mailing lists have also been invaluable, as have the genealogy.com forums. There’s even a tv show about genealogy now. All of these digital advancements have been great and have moved my research along in ways I could not have done with a lot of travel and money. However, I still love sitting in dark libraries pouring over old books or looking at marriage certificates in the vital records office in Boston to find what I need. I guess this web space will be my ramblings about research, what I’ve found, how I’ve found it and other random bits about history. There are so many stories; if I don’t write them down, I fear I’ll lose them.